IEDR, the Irish Domain Registry says that 91% of Irish websites cannot do sales, to which we say…PHEW! The knowledge and understanding of the practical realities in eCommerce are barely understood by business owners and their recruiters of talent, so it’s good that few are active in this space. This said, around €10 million is spent per day in Ireland through eCommerce and that’s too attractive. The additional fact that it is enjoying double digit growth means that very many companies are entering the space with enthusiasm and energy, just look at the jobs pages. eCommerce is a huge opportunity, one that disrupts retail in profound ways and as someone with physical and digital retail expertise, I am glad for its existence. 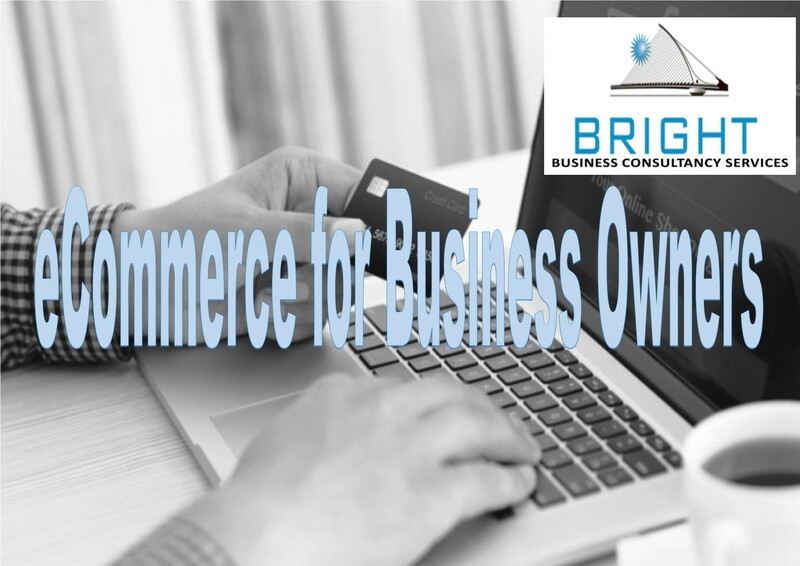 However, having designed, built, introduced and managed eCommerce platforms, I am alarmed at the lack of knowledge and naivety business owners and managers have in how eCommerce really works. First of all, I totally support and encourage eCommerce. It is a vital and dynamic opportunity for B2B and B2C, whilst the development of tools and skills is producing new ways of engaging customers and achieving sales. I especially like the flexibility of certain platforms that facilitate creativity and engagement, whilst performing the solid work required to manage business processes. EI + EC = Incomes as I would say. This said, like all emergent technologies, eCommerce has a fair few pitfalls, not only in supply chain, but also logistics and fraud. No matter the means of effecting a sale, every product offering has to make sense to the customer…no, you can’t start a pop-up selling 100,000 products and wade in..well you can if you have done a lot of work employing skilled workers to create brand presence, to manage orders, deliveries and returns. Some believe that the cycle can be totally automated in a mechanical way…nope, not going to work that well. eCommerce is complex and you need a lemniscate strategy, with the business at the centre to do well – if you don’t know what lemniscate is, Google the infinity symbol. The two cycles are really important. Building a site with a Wasato, Icecat or other plug in to databases is the easy bit. Getting products online linked to your supplier isn’t particularly hard if they are big enough and are well managed. Nope, adoption, understanding and management is the difficult bit. Adoption is about the company learning and using the eCommerce mindset. Its a different management speak, different KPI’s and the roles are different. Even call centre staff don’t immediately get it. The timelines, service delivery and communications are not the same. 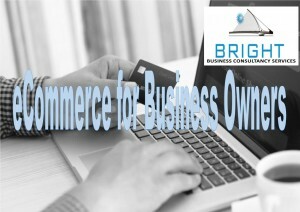 eCommerce informs and facilitates eBusiness. It’s different! Understanding dashboards and the data they collect is equally challenging. Some staff have a real fear of online communications, dashboard data and eCommerce. I don’t know why, but significant numbers blank at the opening of a dashboard and simply can’t decipher what the data means. They need reassurance, training and support. Most importantly, they need to know that the data makes a difference. Data has to shape the operations and conduct of a business. If it’s not informing finance, procurement, logistics and marketing then the company is unsighted and getting things badly wrong. Delivery is an in-house managed function. Yes, the physical transfer can be outsourced, but it can’t be fully outsourced, not safely. Non delivery, damaged or lost in transit product, faulty goods, returned goods…they all need in-house expertise, not just a call centre. The management of returned goods is a vital component of eCommerce …companies can find themselves with returned product with no viable secondary sales channel. Ebay, Amazon etc work in some circumstances, but not all. It is shocking how little businesses put into getting this right. and Finally! Charge-backs and Fraud…the road to ruin is as bleak as one can imagine. If ever there was a clear and present danger to eCommerce growth it is the massive rise in incidents of charge-backs and fraud, two very different faces of the non-payment environment. Absolutely, 3D Secure and other similar schemes help, but not with charge-backs, which can be just as financially painful to the retailer, who often gets left to take the pain. So, to summarise….adopt eCommerce by all means, but use good advisors, make organisational changes and manage it tightly. Brendan Murphy can be found at abrightbusiness.com. Brendan and his team works internationally. This entry was tagged Business Development, eCommerce, Website. Bookmark the permalink. ← Do I really need an App for my company?